Finding the best set of tires for your car has never been easier! 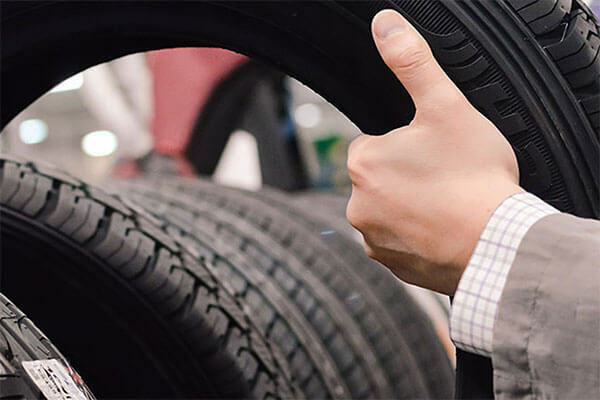 The team of tire sales specialists at Dynamic Automotive helps our community of drivers select appropriate tires for their specific vehicle’s needs. Throughout Frederick, Libertytown, Urbana and New Market, our customers have a range of driving needs and we have the tires to equip them for the road, track or trail ahead. Whether you need something to give your car’s fuel efficiency a boost in frequent trips around town or you need a tire with enough tread to take on rough terrain, Dynamic Automotive can help! Our team of sales experts can direct you to the best choice for your car from our wide selection of premium tire brands. WIth expert knowledge of all makes and models and the nation’s major tire brands, Dynamic Automotive is the area’s trusted shop for new tires! A new set of tires can improve your car’s appearance, performance, safety and handling. Replacing worn out tires is another part of owning a vehicle and can completely refresh your car’s look like a new pair of shoes. More importantly, a fresh set of tires from Dynamic Automotive will outperform your previous set to help you achieve optimal fuel efficiency and performance. New tires help your car handle more smoothly, which means improved comfort and gas mileage. In all kinds of weather and especially in wet conditions, new tires and unworn tread will grip the road better, making turns tighter and smoother. Dynamic Automotive has made it our mission to help drivers equip and maintain their cars with correct tires for peak safety and performance since 1997. If you are unsure if your car needs new tires, feel free to stop by any of our locations in Frederick, Libertytown, Urbana and New Market to talk with a tire sales specialist. If a new set is in your future, our team can guide you through the selection process based on your car’s needs and your specific driving habits. Dynamic Automotive makes sure our customers drive away with happy cars and wallets, because we believe you shouldn’t have to compromise on either when it comes to your car. We promise that you’ll feel confident in your investment in your car’s safety and performance when you visit us for new tires.